The studies for Heads gradually became headdresses. These are sculptures to wear, head ornaments and symbols of the head. 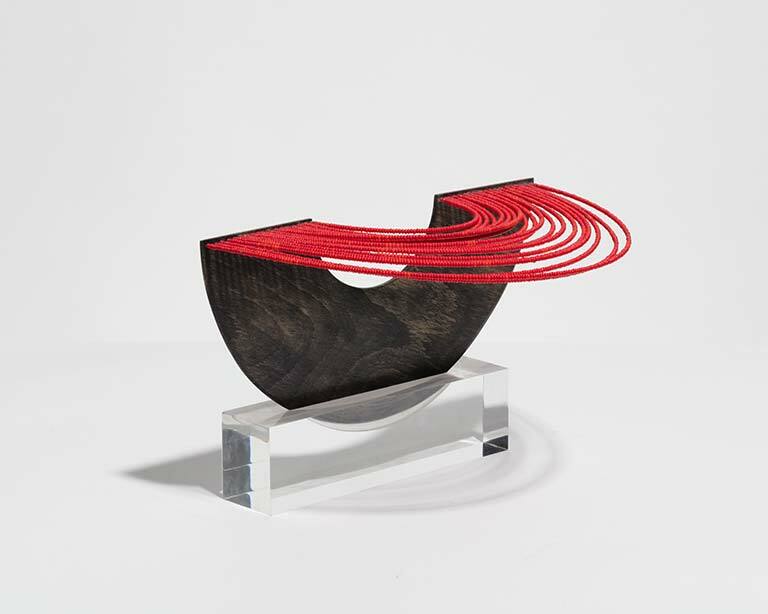 In particular, Lijn plays with geometry, collapsing and folding circular planes or segments of rings, using piano wire and beads as a flexible mobile extension of the plywood shapes with beads for colour. The multiplicity and repetition of identical elements that Lijn uses is a mirroring of atomic structures and their interplay.